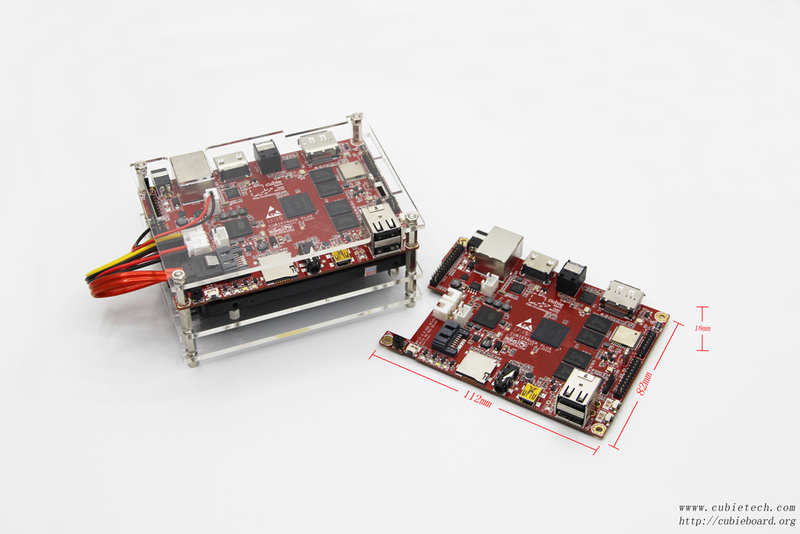 18 Responses to "The prototype photos of CubieBoard5"
I bought 1 piece CT+. It’s very fast and comfortable to use. Great job. Only one thing is that I don’t understand… why SATA USB bridge? It’s step in the past… This one thing definitely excluding CT+ as a good powerless server. Cubieboard 3 still rules! … and do you have any tech specs? when will this board be released? Any news about this awesome new CubieTruck plus ?! I’m happy that I can see SATA, this board i will definitelly order. Don’t forget to produce also some case and develop some stable linux server linux image. I keep finger crossed for this new board. 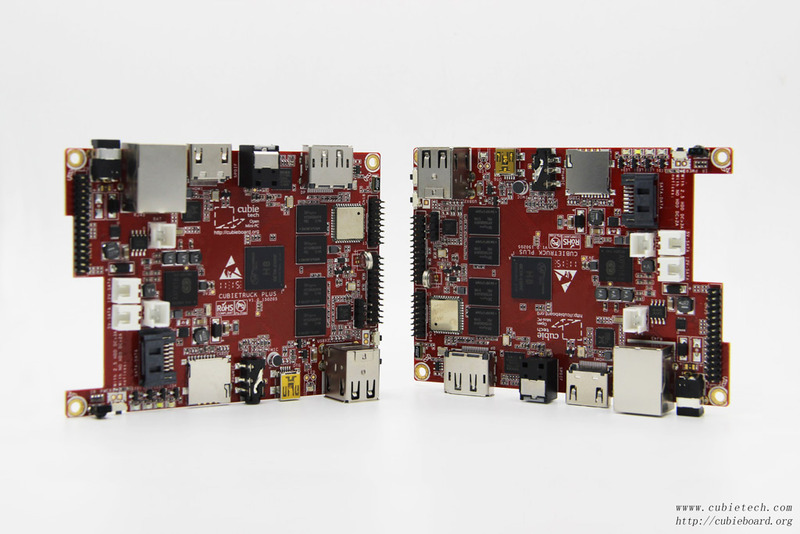 I’m wondering wich type of GPU is being prepared for this model, because in Cubietruck the MALI400 is not able to play Full HD videos using Netflix or other type of streamming when used as Media Center. Please, i’m begging you. That is the only thing Cubieboard is missing! 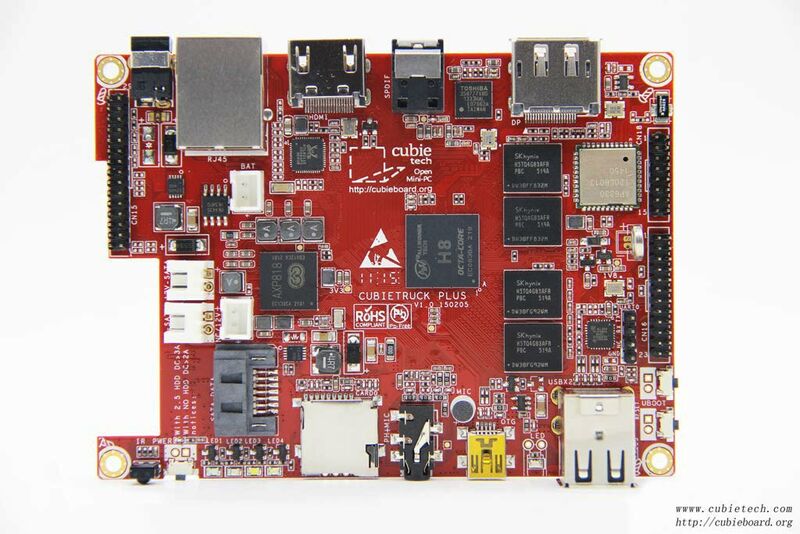 If resolved, cubieboard will be a wonderful piece of perfection. One (for me) important thing: Is the annoying monotonous (high-pitched) cheeping sound on higher performance gone? It appeared one the Cubietruck (Cubieboard 3), when I used an external Hard Drive (Samsung SSD 840 Evo), probably because there was increased voltage on a coil or something. It would be amazing if you would fix this for the Cubieboard 5/ Cubietruck Plus! The price will be compatible with cb4 ? 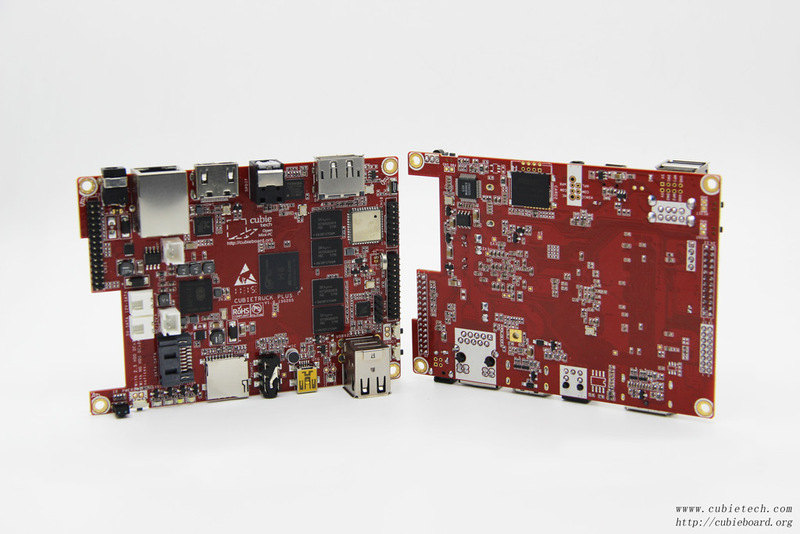 PowerVR SGX544 GPU that runs at up to 700MHz – there was too hart to run mali on ct3 on lubuntu. is it more easy with PowerVR ? seems to be a good upgrade for cubietruck. When will it be available for purchase ? What will be the price ? We have no clear idea of it. How do you think?